DALLAS (AP) -- Southwest Airlines is lashing out at the union representing its mechanics, suggesting that they may be grounding planes to gain leverage in stalled contract negotiations. Separately, Southwest said Wednesday that the partial shutdown of the federal government will cost it $60 million in lost revenue during the first quarter — far more than the airline's previous estimate of a $10 million to $15 million. Southwest said it has continued to see softer bookings that it blames on the shutdown, which ended officially on Jan. 25. The earlier estimate covered the period through Jan. 23. Chief Operating Officer Mike Van de Ven said Southwest saw an increase in aircraft being declared out of service on Feb. 12, "just days after our last negotiations session with AMFA." The surge, concentrated at a few bases, occurred even though there were no changes in the maintenance programs, he said. The airline issued an emergency order last Friday that requires mechanics to get a doctor's note if they call in sick and gives Southwest the power to impose mandatory overtime. Mechanics who don't comply could be fired. Southwest canceled about 440 flights — 11 percent of its schedule — by mid-afternoon Wednesday, according to FlightAware. A spokeswoman said the majority were due to bad weather — a storm disrupted air travel in the East — but there were still "a high number" of aircraft sidelined for mechanical issues. Southwest canceled about 200 flights Tuesday, when weather was not a major factor. Van de Ven said "AMFA has a history of work disruptions" — Southwest has two pending lawsuits against the union — and the airline will investigate the latest incident. He said Southwest was giving as much work as possible to third-party maintenance providers so Southwest mechanics can focus on issues that they have identified. The union countered that Southwest is "scapegoating" mechanics, and it warned that the conflict "does not bode well" for safety at one of the nation's biggest airlines. "For Southwest's leadership to connect the airline's self-declared 'operational emergency' to collective bargaining negotiations is simply an attempt to divert attention away from the airline's safety issues," the union said in an unsigned statement. "That should be alarming to everybody, including management," Bret Oestreich, the union's national director, told The Associated Press recently. Southwest and AMFA have been in contract negotiations for more than six years. Mechanics rejected a tentative agreement last fall, and union officials say the two sides remain far apart on pay and Southwest's desire to keep performing some maintenance work in El Salvador. The union says Southwest has fewer mechanics per plane than other airlines, so its workers deserve to be paid more. 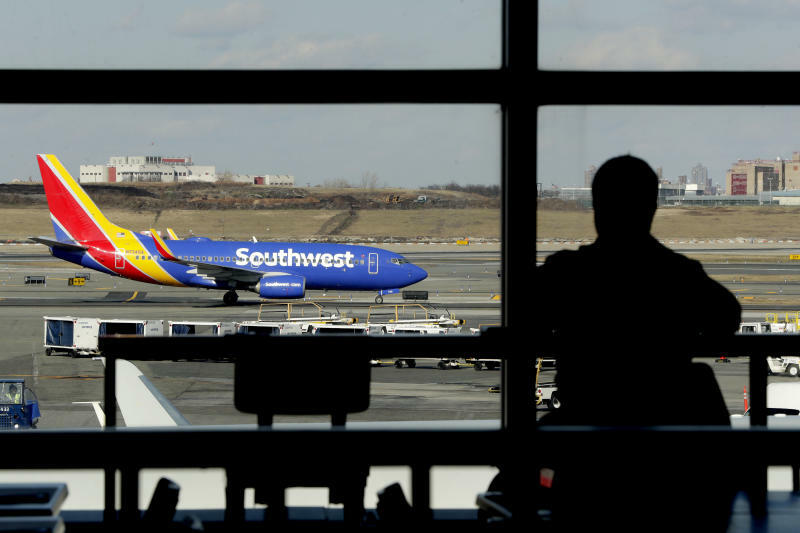 While Southwest spars with the mechanics' union, it is also contending with a yearlong investigation by the Federal Aviation Administration into how crews calculate the weight of checked bags and make sure loads are properly balanced in the cargo hold. Southwest said it reported the problem voluntarily and has made improvements.